Let's say you visit your senior friend at his or her memory care community every Thursday. Maybe one time the individual asks what day of the week it is. Instead of simply replying, "Thursday. I always come on Thursdays," you could give him or her a hint. Ask, "When do I usually come to visit you?" The senior may remember this fact because it is more long-standing in his or her brain than simply remembering what day it is. When a person's short-term memory is lacking, they'll likely forget what you said five minutes ago. "Where are we going?" and "What did you do today?" are common questions that seniors with dementia and Alzheimer's tend to repeat. While it can be exasperating after a while, it's important that you repeat yourself. The more times the senior hears something said, the more likely he or she is to remember. Be prepared to repeat yourself when talking to a senior with memory loss. Think about what it would feel like to be in the senior's shoes. Forgetting simple things like where the bathroom is can be very stressful and embarrassing. When your older loved one doesn't recall something mid-conversation, it's sometimes OK to breeze over the topic. If it's something important, however, like what time an upcoming event is or medication information, help the senior fill in the blanks. Sometimes, though, it's not helpful to keep trying to force a senior to remember something. If the information they're missing is nonessential, move on. Dementia and Alzheimer's can be taxing on older people and those they love. It can be upsetting to realize just how much your senior friend or family member no longer remembers. It's very important to be patient in his or her times of forgetfulness. Remember that the individual is not blocking out information on purpose and has no control over their memories. It's likely as frustrating for them as it is for you to try to straighten everything out. Memory loss often worsens and has no cure. The best way you can address a senior's forgetfulness is to ensure he or she has a safe place to live. 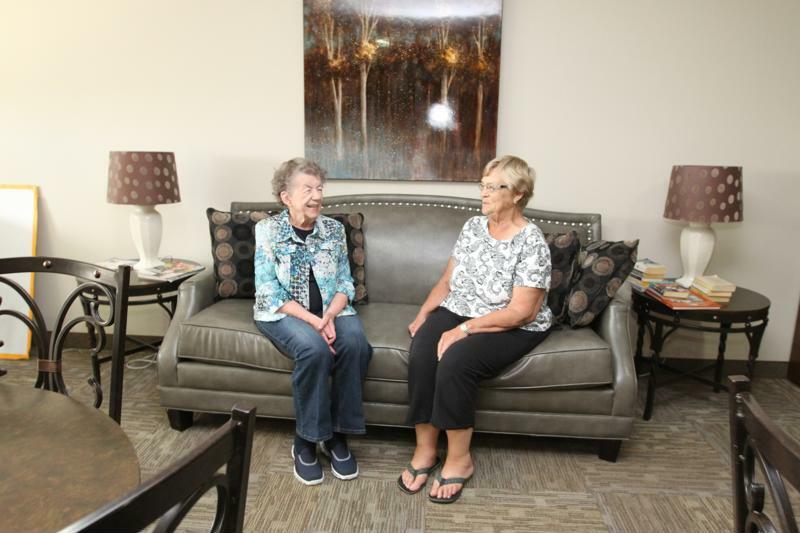 Memory Care communities promote all-around health and wellbeing with around-the-clock care and modified residences that prevent seniors from wandering off, a common symptom of severe memory loss. You'll rest easier knowing your loved one is in good hands and has people to talk to when his or her memory lapses.